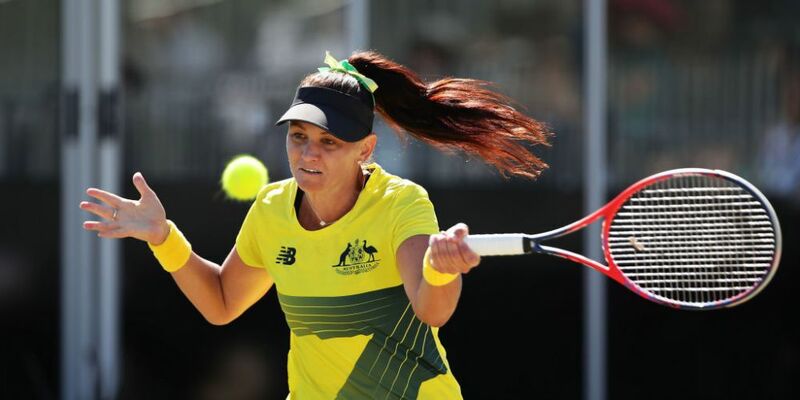 FORMER Woodvale resident Casey Dellacqua has announced her retirement from professional tennis at the age of 33. Dellacqua was a two-time Olympian who twice made it to the fourth round of the Australian Open singles, in 2008 and 2014. She also made it to the fourth round of the US Open in 2014, reaching a career-high ranking of number 26 in the world, and made the third round of Wimbledon twice. She won the 2011 French Open mixed doubles, with Scott Lipsky, and has seven career doubles titles on the WTA tour. Dellacqua is still ranked number nine in the world in doubles, but said she was comfortable with her decision. “It is something that I have been thinking about for a while now, and I definitely feel like it is the right time for me to hang up the racquets,” Dellacqua said on a video on social media. Dellacqua has represented Australia in Fed Cup in 21 ties since her debut in 2006. “If there is one thing I will miss about playing professional tennis, it will be playing for Australia,” Dellacqua said. “It was always the highlight of my year and it is something I will cherish, playing for and representing my country.